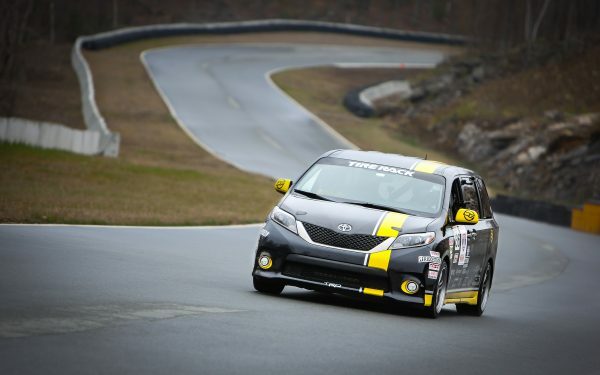 Ron Howard’s fabulous Formula One film “Rush” isn’t the only new car story out there. Here are three more—two movies and a book—that you may not have heard of. 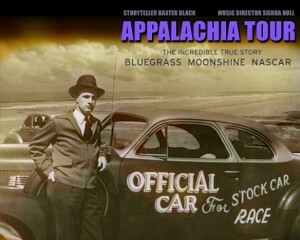 “Appalachia Tour – Bluegrass, Moonshine, Nascar” opens with color footage of an early stock-car race on Daytona Beach. Each lap is a stretch of narrow beachfront road and then back the other way on the sand, the straightaways linked by almost U-turns. It’s about 1950, and there are no safety marshals, catch fences or even a real track, much less garages or grandstands. The crowd watches the cars go by from the infield, a strip of sand and beach grass, under the watchful eye of William Henry Getty France Sr.
Amazingly, no cars collide. Jimmy Thompson’s No. 7 stops twice for “repairs”—someone with a sledgehammer knocks away a loose fender and then the hood—and Thompson roars off again. It all looks quaint and innocent, before TV, big money, lawsuits and liability. Then this bio-pic gets a bit weird. You may wonder what a cowboy poet in a rocking chair on a darkened stage has to say about the National Association for Stock Car Auto Racing, but stick with it. There’s some fine, Ken Burns-style story-telling here—about Prohibition, mountain moonshiners, Raymond Parks, Big Bill France and the true founders of Nascar, a “sport that the South could call its own,” all set to bluegrass pickin’ and interlaced with historic photos. Watch the trailer at appalachiatour.com. You can view the film—about 80 minutes—for $3.99, or download just the audio and the bluegrass for $1.99. “Snake and Mongoo$e” skips ahead 20 years and shifts us to Southern California, where two dudes named Don Prudhomme (the Snake) and Tom McEwen (the Mongoo$e) are trying to figure out how to a) out-drag each other down the track, and b) make a living out of this slightly bizarre sport. Their rivalry, friendship and family hang-ups hinge on a deal with Mattel Toys that helps turn professional drag racing into big business. The movie stitches together an amateurish re-creation of events with archival, and sometimes explosive, film of real racing. “Rush” it isn’t; don’t look for this one on next spring’s Oscar list, and it’s hardly date-night material. 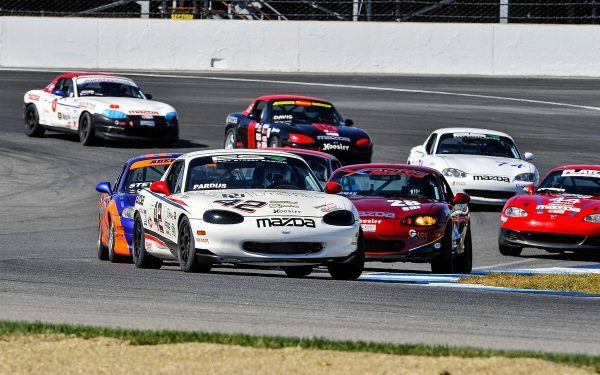 But if you’re passionate about mega-horsepower unleashed in quarter-mile blasts—or if you actually saw some of those head-to-head duels, or had a Hot Wheels drag strip set up in your room—it’s an hour and a half you might enjoy. Watch the trailer at snakeandmongoosemovie.com. The film opened in theaters in September, but it’s headed for DVD sales. Rob Siegel is “The Hack Mechanic” columnist in the BMW Car Club of America magazine. For many years, he’s been repairing, restoring, buying, selling, maintaining and driving dozens of old high-mileage BMWs and writing about it—while working a real job (geophysicist), staying with the same spouse (Maire Anne) and raising three boys. Obviously, he knows something we don’t. 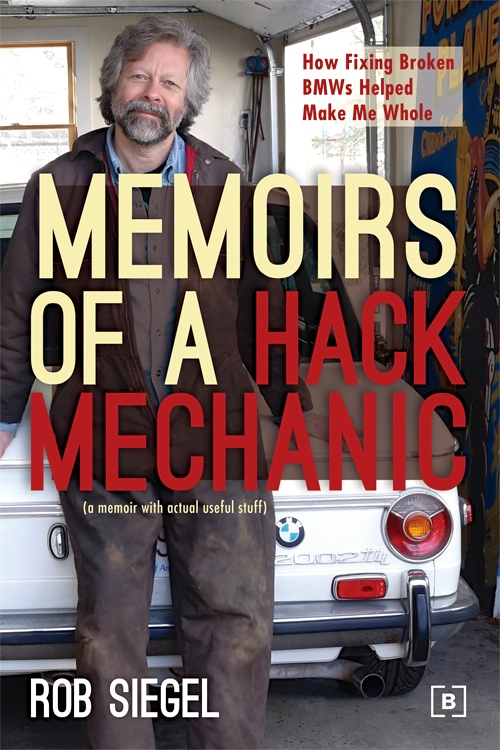 In Memoirs of a Hack Mechanic, Siegel finally tells all, including “how fixing broken BMWs helped make me whole.” Part of it seems simple: Retiring to the garage to twirl wrenches and drill out rusted bolts is great stress relief and makes us think we have some control over the world. And in showing how cars have helped build personal connections in his life, Siegel hints that, beyond our greasy fingernails, gearheads can, in fact, be warm and caring humans. Women like throw pillows, men like cars; women tell all on Facebook, men have to drink beer just to talk with each other; women build nests, men are looking for sensations—and an affordable torque wrench. Siegel explains this, but he also instructs us on the distinctions between jackstands and drive-on ramps, why paint jobs are so expensive, how to garage five cars in a heavily zoned neighborhood, and other actual, useful stuff. It isn’t all BMWs, either; there are VW, Porsche, Triumph, Miata and even Firebird adventures. If Zen and the Art of Motorcycle Maintenance left you blinking in disbelief, then Hack Mechanic may be your book. It was mine. Paperback, 432 pages, available from Amazon for $24.13. Cheers Turlington, I read through Classic Nascar and their Classic Nascar movies are excellent!